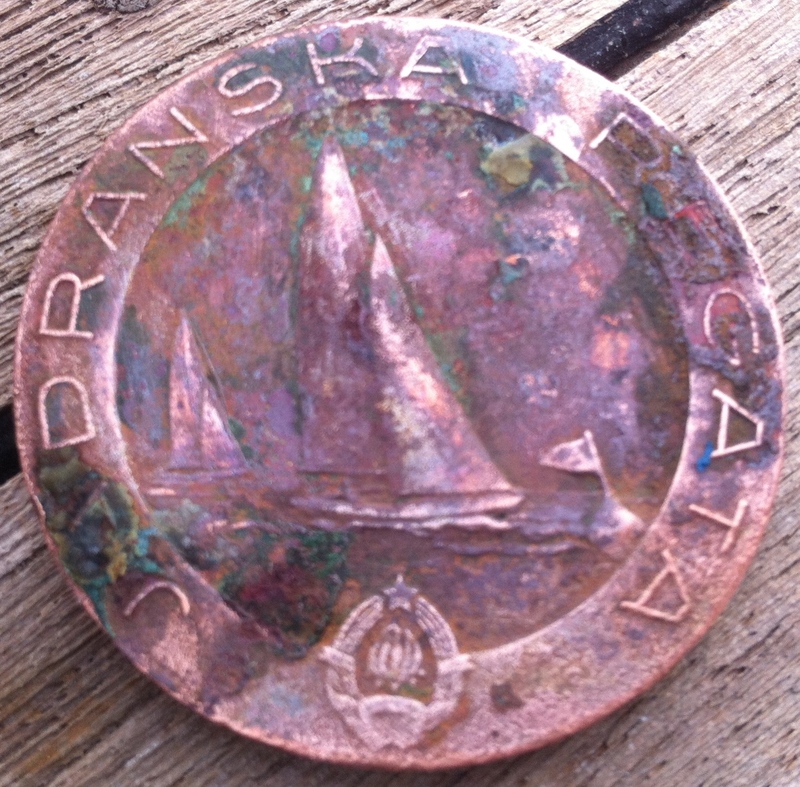 Sailors and shipwrights have been putting coins under masts of ships since the ancient times. We found an interesting one on HIR 3!!! It was really cool to see a coin which actually turned out to be a medal from 1981. Adriatic Regatta for 2nd place in category IV! 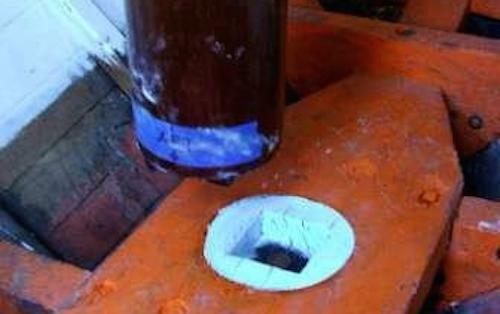 ‘Sailors and shipwrights have been putting coins under masts of ships since the ancient times. The ceremonial practice is believed to originate from ancient Rome. One theory is that, due to the dangers of early sea travel, the coins were placed under the mast so the crew would be able to cross to the afterlife if the ship were sunk. The Romans believed it was necessary for a person to take coins with them to pay Charon, in order to cross the river Styx to the afterlife and as a result of this, coins were placed in the mouths of the dead before they were buried. Another theory for this practice is that the insertion of coins in buildings and ships may have functioned as a form of sacrifice thanking the gods for a successful construction, or a request for divine protection in the future (Wikipedia)’. 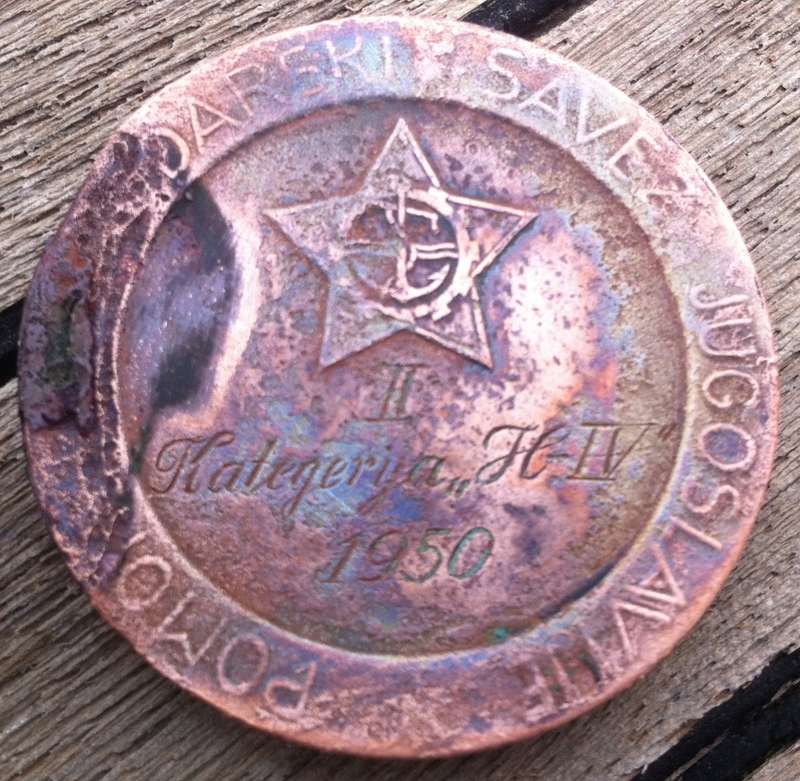 I showed the medal to my friends at Dobro More sailing club in Zagreb and my friend Jelena offered to clean the medal with a special acid for bronze… she brought it a week later looking like this… Great!! 🙂 Thanks a lot Jelena! !